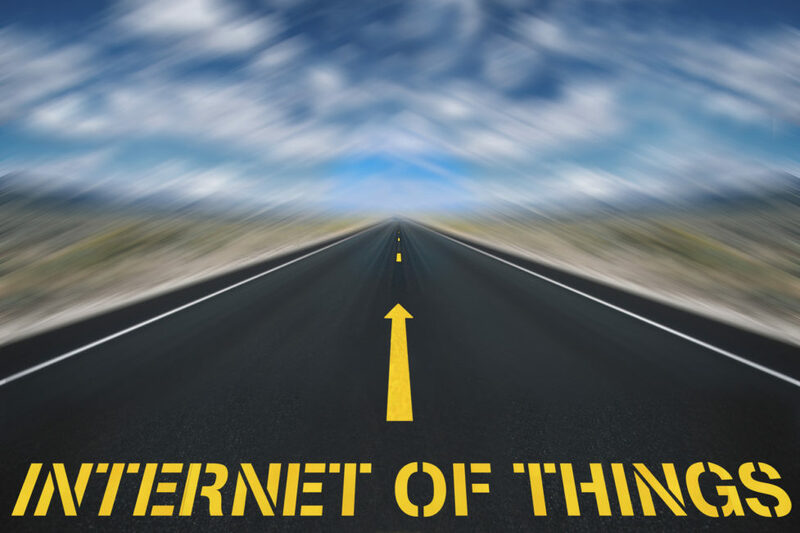 The past few years the IoT applications sector has been growing and growing quickly. For those of you who were too immersed in your smartphone to notice, the Internet of Things has become its own thing. If you don’t know, the IoT is a collection of devices that connect to the web, allowing them to be controlled and interact with other devices. And while that doesn’t sound that amazing, trust me it is. Tech companies have been reading all those twitter rants you post about how inconvenient it is to have to fold laundry, change the temperature when the thermostat is way over there, or to get up to see who is at the door. And they created some pretty outstanding products that can make your life easier. So while we were stuck in the malaise of all of the things that we don’t want to do, they were doing something about it. They have designed things that we didn’t know existed and that now we won’t be able to live without. I mean I know I want a robot that folds laundry; who wouldn’t want that? My idea of folding is, well, non-existent but lucky for me I don’t have to worry about it, the IoT has come to my rescue. But it’s not just laundry; IoT applications makes EVERYTHING smarter. From cities to water supplies, IoT applications are changing the way we live. But this is about you, and what you need. And while more efficient water management can save the planet, this is really about how we make your life easier. So here are some of the pretty sweet ways, by industry, that can help you change your twitter feed from nay to yay! Facility management you say? Yes. Give it a chance; you will see how much you will love some of the new IoT devices and how they make you have a much better experience the next time you go to a concert. By placing sensors in concession stands, restrooms and trash bins facility staff can be alerted when a location is out of coffee, paper towels or soap. By giving their employees feedback in real time, they can better manage the needs of the patrons which results in you having more fun. Sensors can also help manage and direct the flow of people entering or exiting an event, using data from previous events allows managers to create better plans to get people both in and out of stadiums or other large events more quickly, which means you may have a shot to get out of the parking lot first. We spend most of our time in our homes, so creating IoT devices for our houses is pretty much a no-brainer. Smart IoT devices for the home are not as new as they seem, a lot of them have been around for years. But as the IoT has become more prominent the industry has come into its own, with new devices that can do everything from letting you answer your door when you aren’t home to refrigerators that now connect to smartphone apps. One of the biggest advances in IoT device technology is happening at your front door. 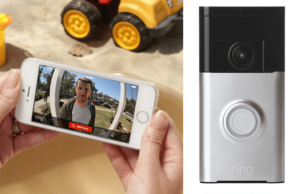 With smart doorbells that can allow you to use a camera to see who is at your door, even when you aren’t there and new smart door locks that can let you into your house with just the touch of a finger, your front door has undergone a complete makeover. And while everyone is talking about their WiFi Refrigerator, the IoT is helping you keep your family safe. But just between us, though, the Samsung Family Hub is a pretty sweet place to keep your carrots. For those of you that love to share every Fitbit detail on social media, you can now save some money by sharing the same data with your insurance company. John Hancock Insurance was the first company to offer a discount on your insurance when you use your Fitbit to track your exercise patterns. They will even give you a free Fitbit if you don’t already have one. So now you can share your fitness data with someone that really wants to see it, and earn a few cool rewards for doing it. We all know that there are 8 million travel apps, and then 4 million other travel apps that pull data from the original 8 million. But the new IoT applications are doing more than just getting you lower rates on your hotel room. Your airline is on to the IoT, and they are using it to give you a better and safer experience. By integrating IoT devices into the plane and cargo areas they can send data in real time that can identify and fix mechanical issues in real time, which results in a safer flight for you. And forget about lost luggage, which is usually what your airline does, but no more. Some airlines can let you see your baggage from the minute you leave it, to the minute you get to baggage claim. So now you can track your belongings and know that all those things you bought in Hawaii that will eventually end up in a closet somewhere are safe and sound. Although you do not need the airline to be able to track your luggage. You can use a bag, such as Bluesmart with a tracking system already installed within your luggage (so it is a lot harder to discard when stolen). 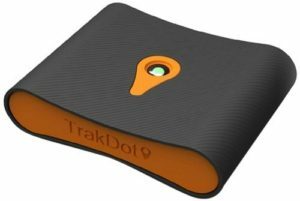 Alternatively you could throw in the compact and convenient Trakdot into your luggage and receive notifications of its location every time it is being moved to a different location. Lugloc works the same way as the Trakdot but with the additional feature of using Bluetooth for close proximity tracking. From reducing fuel usage to automating check-in processes, the IoT is making your travel experience easier, and more secure. But they still can’t make the person next to you stop talking to you while you are watching Netflix. While this application doesn’t have the intrigue of travel or the coolness of a smart refrigerator, it does have robots. Lots of robots. The IoT has been a part of the IoT for a while now, as automation has been changing the face of manufacturing for many years. But as the IoT expands so does the modernization of how we build everything from toasters to cars. The ability to build to scale can reduce costs and better manage energy use, while allowing products to be designed, built and delivered faster than ever before. Robots! 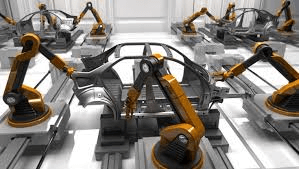 The IoT allows better control of robotic technology; it can also make them smarter, and enable them to learn organically to improve efficiency. They can also detect defects and share data that will make sure that the IoT device that you bought that was also built by IoT devices works as promised. Driverless cars have been around for a while, several states have even changed laws to allow them to cruise along their roads and highways, but now the IoT is making major car manufacturers to start to take the idea of automated driving to new heights. A joint venture between BMW, Intel and Mobileye are working on self-driving automobiles with the goal of having them in production by 2021. The IoT has changed the future of automated driving, by allowing devices to talk to one another the idea of mass marketing driverless cars is closer than ever before. Autonomous cars manufacturers have a lofty goal, to make travel safer. 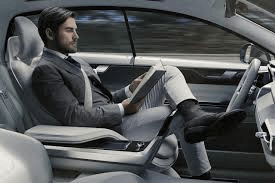 But by providing solutions that can create allows the car to “see” and react to other drivers and the use of GPS technology to guide the car to its destination, it could be possible that we will have a fleet of cars in the near future that are fully automated. The goal of a driverless car with no human inside can seem a bit scary, but it can it really be more frightening than people who don’t know how to merge in traffic? Uber seems to be the company closest to creating a viable system of driverless cars, mostly because they have an immediate market in which to commercialize these new advances. If you haven’t already noticed, the IoT is changing the way we shop. Now anything you have bought or searched for is pushed to you in an ad form as soon as you log in. From your smartphone to your laptop you are always reminded of the things you want. This technology is now moving to where you shop when you are offline. 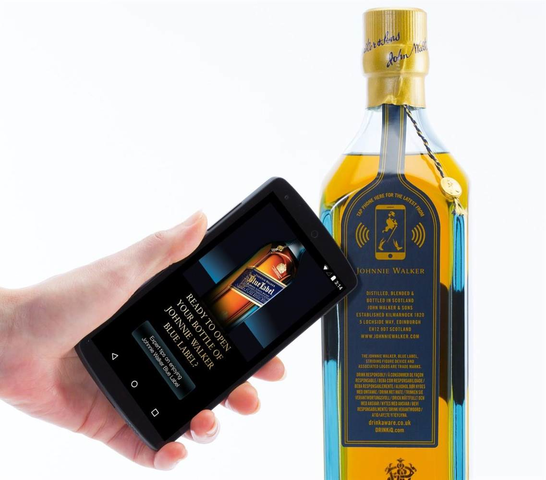 Smart whiskey is one of the first examples of the integration of the IoT into first person advertising; Johnny Walker introduced sensors that are used to upload information such as recipes or promotional offers to their bottles. They can even tell when you open the bottle and through a smartphone app, they can share recipes. By using IoT devices, the sensors, in particular, they don’t need to print advertising; it’s built into the bottle. But while most of the IoT integration is focused on back-office analytics, there are some cool things that are reshaping the customer experiences. Digital ads: stores have always had in store signage, but until recently, it couldn’t talk to you. From making suggestions to sharing what is trending on Twitter these new digital ads can help you know what is on sale, and during busy times it can even provide you with an offsite consultant that can talk with you in real time when you have a question. Your own personal deal: so that pair of boots you favorited online can now send you a push notification when you walk past them in the store, Bluetooth options can also allow the store to push coupons to you in real time for items you are looking at. Do it yourself: high-tech kiosks can allow you to get information, or even make a sale by engaging with an off-site salesperson. You can also do your own research if you don’t feel like talking. By providing ways to interact with the products that you are interested stores are creating an enhanced customer service experience. Making it easy to be their customer often makes you a customer. Retail markets that leverage the power of the Internet of Things already see results. From more thoughtful and personalized customer experiences to the use of data to know what your customers want and making sure it is there when they want it, the IoT is changing the way we buy things, and making it cooler. The Internet of Things touches every aspect of our lives in some way. The footprint of the IoT is everywhere, and as it continues to grow with new technologies that can do everything from fold laundry to remind you to take your medication will only increase our dependence on technology. So is the IoT something we should embrace, or something we should fear? When our devices are smarter and can talk to each other, should we be worried about that they are saying? While there are a few things that are concerning about IoT devices, there is more good than bad. So what should you worry about? Not much, but if you enjoy worrying, here are a few things to consider. This is probably the main concern that people share about the IoT, while we used to feel that our homes were our haven where we could shut out the world, smart home devices are kind of invasive. Their purpose is to share data to create a better experience, but that sharing in and of itself can be a cause for worry. The best way to keep your private business private is to make sure that the smart home devices you have, and any you purchase are secure. Turning your home into a virtual Fort Knox will keep your personal stuff safe and hackers out. We all of the smart devices that track everything you do, and remind you that you aren’t doing enough can make your life miserable. While being healthy should be a goal, it shouldn’t take over your life. If you are wearing three Fitbits and an Apple Watch and then crying while you eat a cookie, you may want to take off all of the devices, all of them, and reassess your life goals. While fitness technology is an excellent way to improve yourself, you can’t let it destroy your life. So should you be stressed out by the idea that the IoT is going to be the destruction of our world, no. In fact, the IoT is actually trying to save it from us, which means it may worry more about us than we do about it. But for now, just enjoy having a robot fold your laundry, while you tweet about how many steps you have taken today.